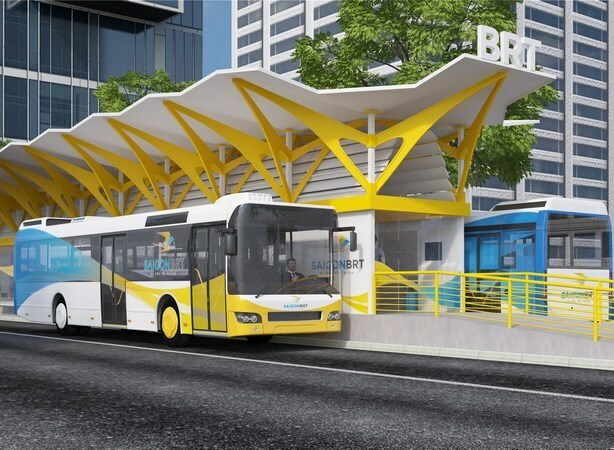 Ho Chi Minh City’s Urban Civil Works Construction Investment Management Authority (UCCI) announced the Bus Rapid Transit (BRT) No 1 project on August 12. Accordingly, the BRT system is invested with 137.5 million USD, 124 million USD of which is financed by the World Bank’s loans and the balance by the city’s budget. The 23-kilometre line will run along Mai Chi Tho and Vo Van Kiet Avenues and through districts 1, 2, 5, 6 and 8, Binh Tan and Binh Chanh. The project will use 28 buses using compressed natural gas (CNG) as fuel and a modern Intelligent Transportation System (ITS). According to Luong Minh Phuc, Head of UCCI, the project coupled with a new metro system will contribute to developing the city’s public transport system in the future.